MaKing Websites For Every Screen. The use of technology is just moving the par, every hand needs a mobile, moreover they explore new things. Mostly everything is managed on mobile, providing the websites that are convenient to be viewed on any screen. Expert Solution makes your website exciting that will make the user to go gaga over it. 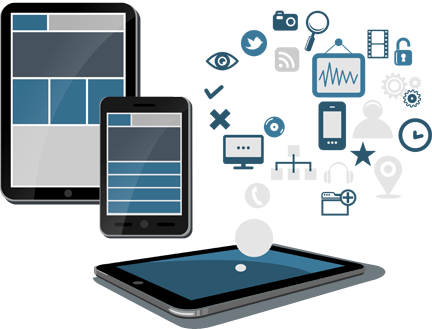 We Develop Every Project Associated to Mobile Web App. We design and develop mobile websites and mobile web applications and understand practical techniques that will enhance the mobile web browsing experience. Designing a mobile web application is not the same as designing for the traditional web, content on the mobile web must be user-focused (just like in traditional web design), however because of the smaller screens and internet connectivity concerns, we put careful consideration into the design of a mobile web application.